POW! BIFF! This gorgeous, brightly-colored Superhero Party sure packs a powerful punch! It has been created by the very clever Leaha for her son Trace’s 4th birthday. 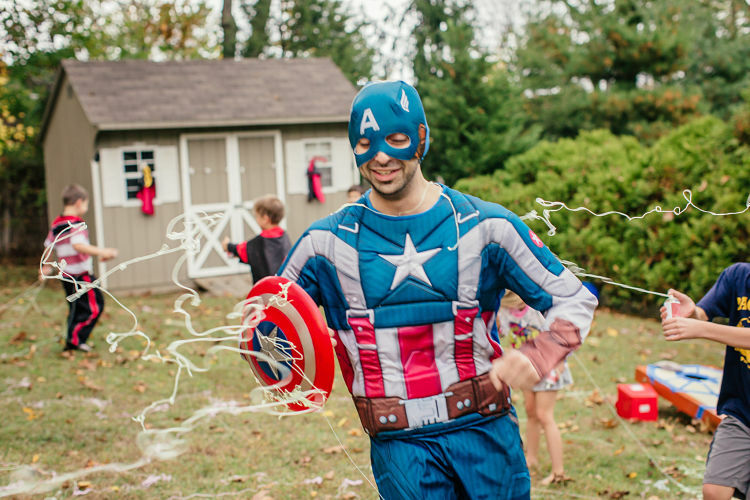 Read on for many fabulous Superhero Party Ideas. The building sillouhette makes a great party table backdrop. Leaha has strung up a banner from my Superhero collection in front that she has personalized with Trace’s name. You can view all of Leaha’s ‘Mighty Munchies’ below! I love this idea! Use any fruit to create your very own Superhero Bulls-Eye! Leaha has customized my Printable Chocolate Wrappers for her ‘Superhero Chocolate’! Of course, no Superhero Birthday would be complete without some ‘Kryptonite’! For a similar home-made rock candy receipe check HERE. You can find my Superhero Lollipop Capes and Masks HERE. Don’t they look adorable?! 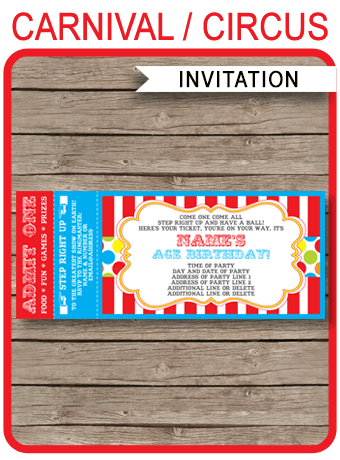 All the wording can be changed to suit your own party details. These would also make great party favors as well. Don’t forget the Superpower Pills for all party guests! What little superboy or supergirl wouldn’t want some ‘X-Ray Vision Vitamins’ or ‘Super Strength Pills’?! Leaha and her friend Danita did a wonderful job with Trace’s birthday cake don’t you think?! I love the different superhero layers! Leaha has glued and spray painted cardboard boxes to make this super-cool and super-simple Superhero Telephone Booth. My Printable Birthday Banner was customized by Leaha as part of the party decorations and looks absolutely fantastic! I love that Leaha’s party table decorations look soooo enticing with the bright and colorful Superhero party theme. Check out all the gorgeous table decorations below. The party guests had heaps of fun playing Superhero Party Games. A great idea for a Superhero Birthday party is a spider web fight! Lots of fun! Another fantastic party game is a Green Goblin Ball Toss. I definitely have to mention gorgeous Captain America! Trace and his family and friends were super-lucky to have him stay for the party! Here’s another brilliant idea from Leaha to borrow for your own Superhero Birthday Party. Use my Printable Superhero Backdrop Banner to take some fabulous photos of all the party guests. Send all the happy party guests home with some Superhero Party Favors. Thanks so much for sharing Trace’s Superhero Birthday party Leaha! As you may have guessed from all these fantastic birthday images, Leaha is also a very talented professional photographer. Make sure you check out all her wonderful work at Popography. 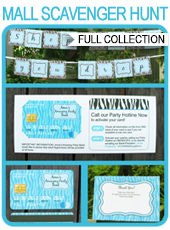 Don’t forget that all of my party printables are instant downloads and can be customized by you at home and then printed! How easy is that?! Purchase my Superhero Party Printables for $12.50.